At the Walker or any other art venue, no one spends more time with the art—not curators, installation crew, or visitors—than the sentinels standing among the works of masters: the guards. Many of these gallery assistants (as they’re known at the Walker) are themselves artists, a role that gives them a unique perspective on the work we show. In the new series “Avant Guard,” we tap into the experiences of these individuals to see how their attitudes and perceptions about a particular work or artist change over the duration of an exhibition. First up: Diane Mullen offers her take on Hopper Drawing: A Painter’s Process (closing June 20, 2014). 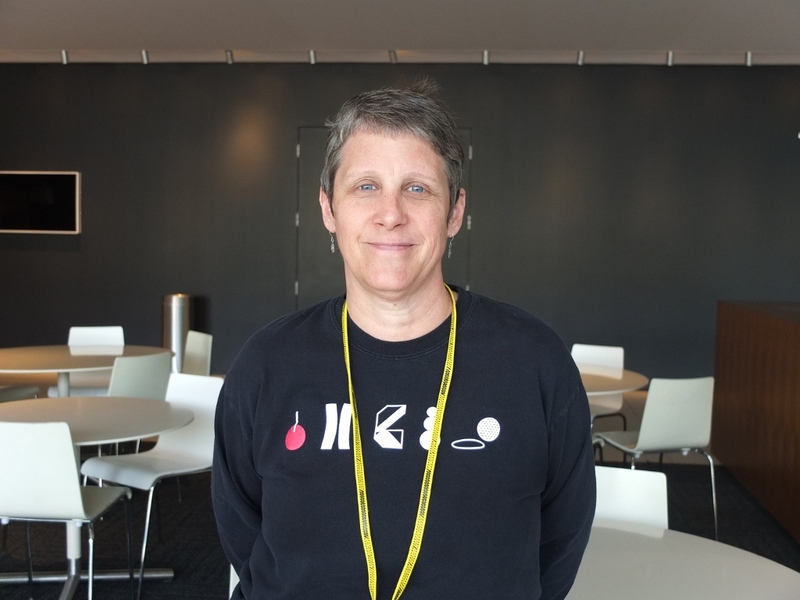 Emylisa Warrick: How does your perception of a piece of art or an exhibition change from the beginning of the show to, say, three months later? Diane Mullen: My perception is always changing. 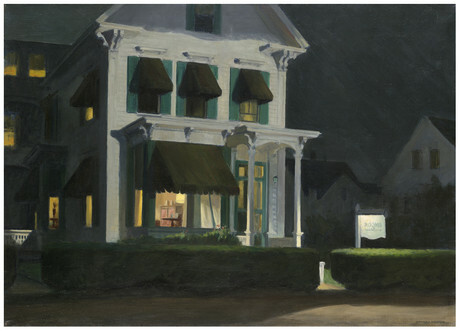 I was familiar with Hopper’s work through Nighthawks, which I had seen in Chicago. But it was surprising going into the Walker show for the first time because it’s different from some of the typical shows I’ve been here to work at as a guard: the layout of it, the benches, the strong emphasis on the paintings and the sketches. It also has a completely different feel than the other shows, and I think that’s partly because of the layout. I know that the curator was very specific in setting it up that way. Warrick: Have you formed a special attachment or bond to a piece in the exhibition? Mullen: I really love Rooms for Tourists (1945). It’s a painting of a New England–style house. It’s white with a little glow in the window, and it has the “Rooms Available” sign. I love that piece and I can’t explain why. Maybe it’s partly because I was in New England a couple of years ago, in Exeter, New Hampshire, and had such a great time. But the painting has the same architecture and everything. I love what Hopper did with it. I love looking at the sketches, the way he decided to crop off the top of the house, and how he decided how much to show of the hedges. You can look at the sketches and see what he was trying to do figure out. It’s a painting of a house, but I think it’s just so filled with layers of emotions, thoughts, and processes. I love that piece. It feels very alive. I like so many of the sketches and scenes of Greenwich Village, too, but this particular piece really resonates with me. Warrick: What have you taken away from this exhibition? Mullen: As an artist, I think what I’ve taken away from studying Edward Hopper’s process is his determination and resilience. Looking at the pieces that involved him as a commercial artist makes me think, “We’ve all done that.” We create art at times to pay the bills. I was a filmmaker for 13 years before I got my MFA. I shot end caps at Target overnight and things like that. And to see that Hopper did that in order to pay his bills, even though he didn’t like doing it, so that he could get to where he wanted to be—that is inspiring. Also, he didn’t give up. He did what he had to do in order to live the life of an artist, which we’re all still doing today–and to create work that says so much in a small space. It seems like every painting that I look at, even if it’s a building, has a narrative. I think that is a true gift.